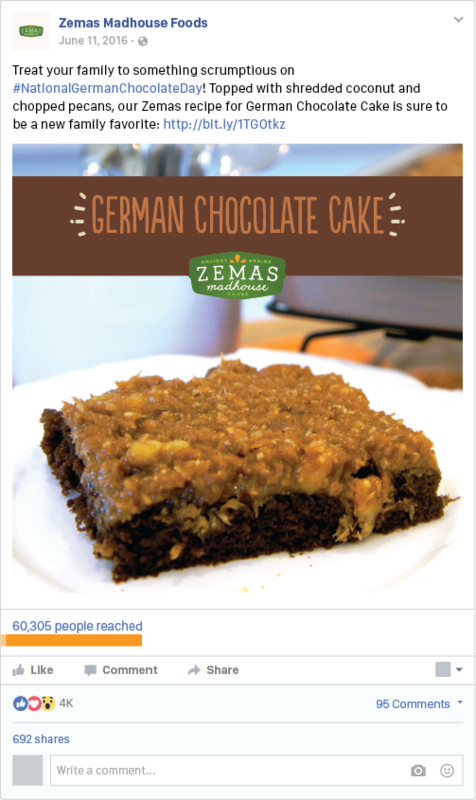 Founded by a mother who wanted her family to eat better-for-you food, Zemas Madhouse Foods produces baking mixes that are packed with ancient whole grains instead of processed sugars and bad carbs, making them safe for those with food allergies and restrictions. 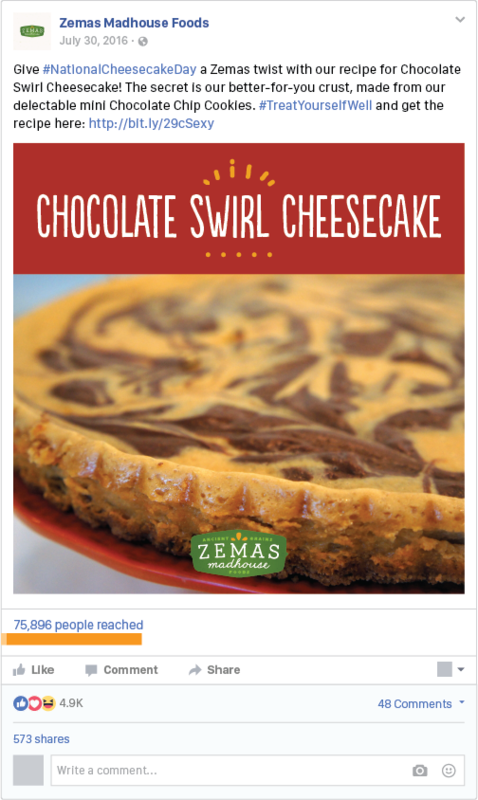 This way, nobody has to miss out on a sweet treat. 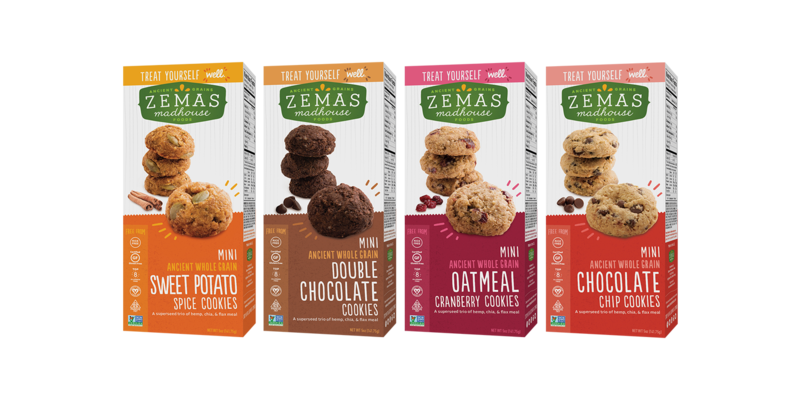 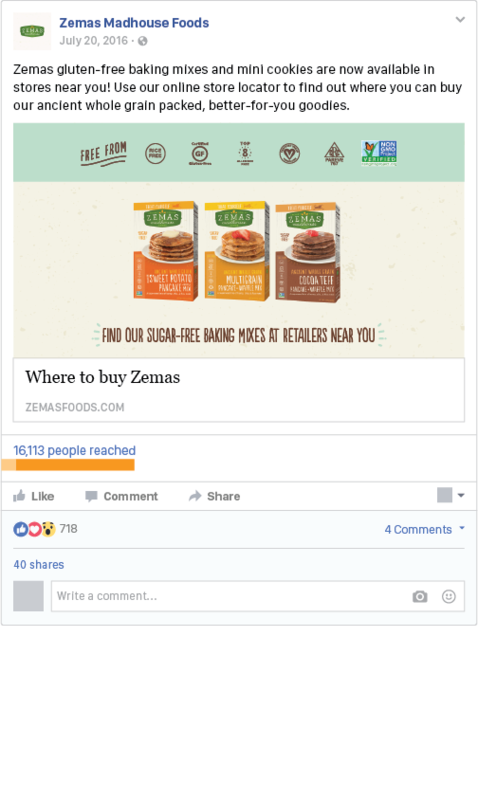 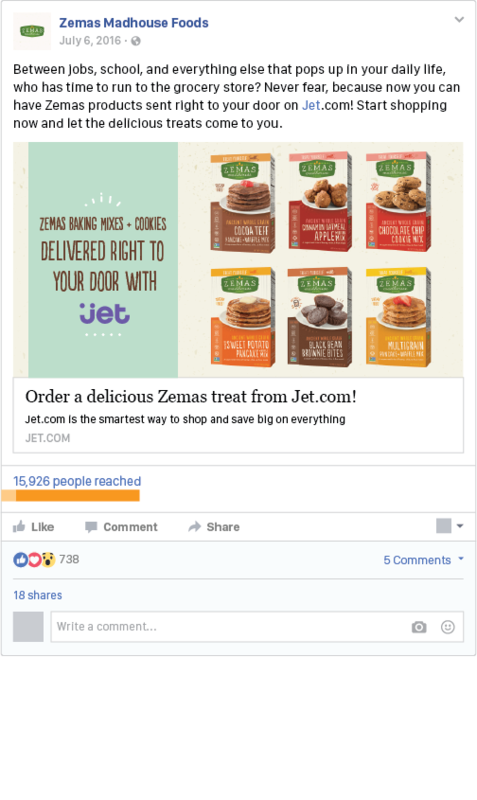 Gearing up to launch their line of ready-to-eat cookies, Zemas came to us to create new packaging and to increase brand awareness on social media. 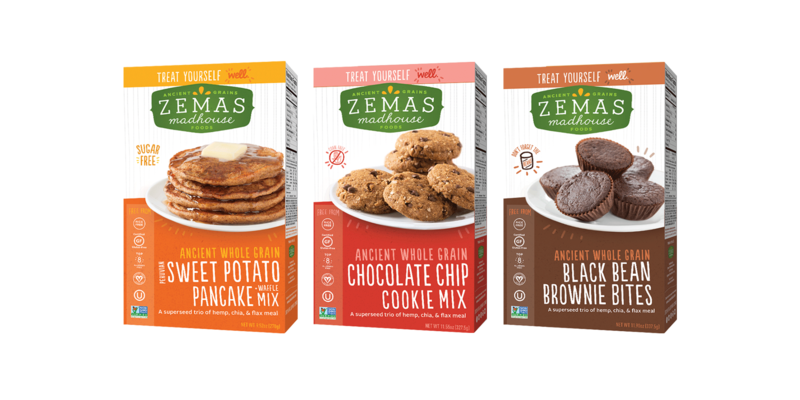 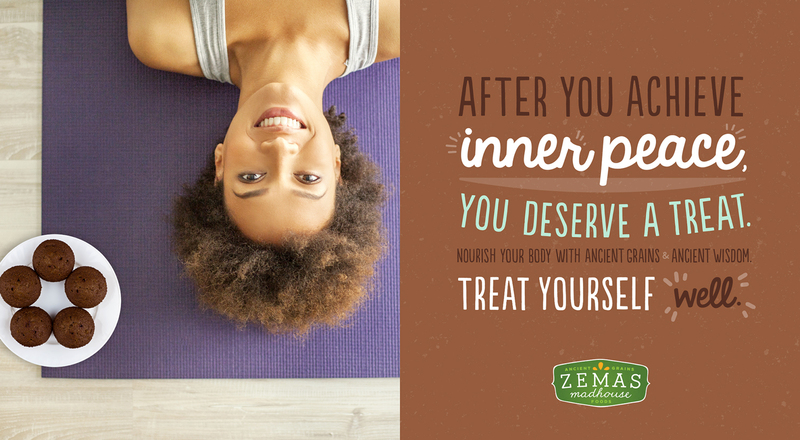 Zemas baking mixes and cookies are made without gluten or top-8 allergens, so the company’s goal was to position its products as a better-for-you snacks that didn’t simply replace the allergen triggers with sugar and cards – instead, they use ancient whole grains that taste like a treat and improve your health. 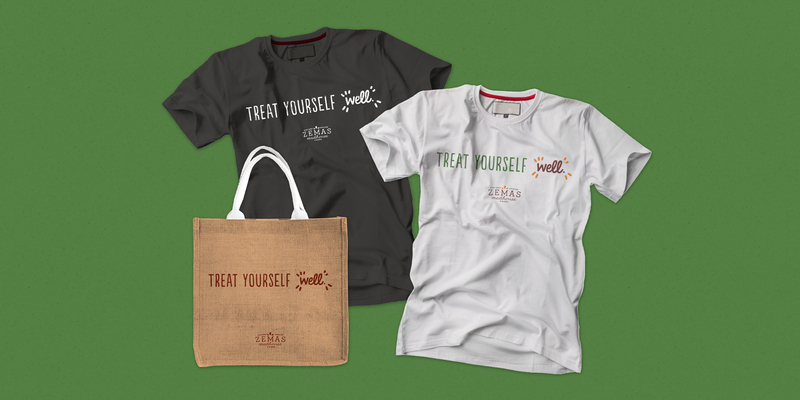 Thus, we developed a brand idea that married both benefits: treat yourself well. 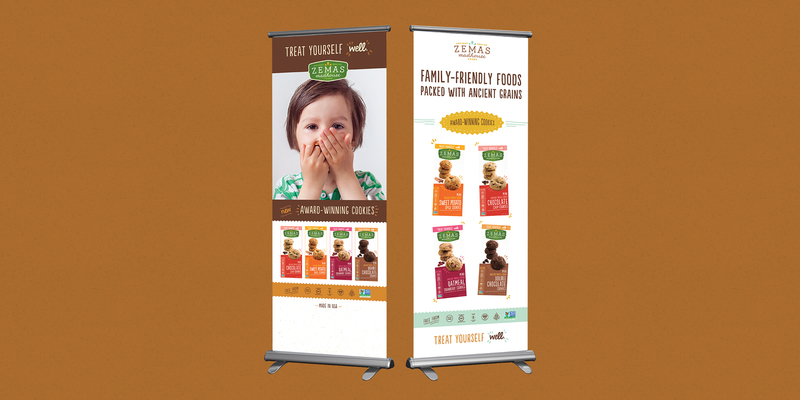 Our main concern was making sure that the brand speaks to both kids and their parents alike. 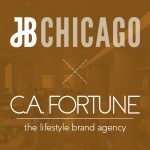 To accomplish this task, we applied a hand-drawn condensed font mixed with doodle-like line elements and multiple patterns. 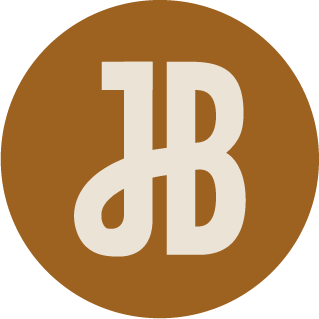 We arranged the hierarchy of type to speak to the parents while also visually showing the kids how fun the brand is. 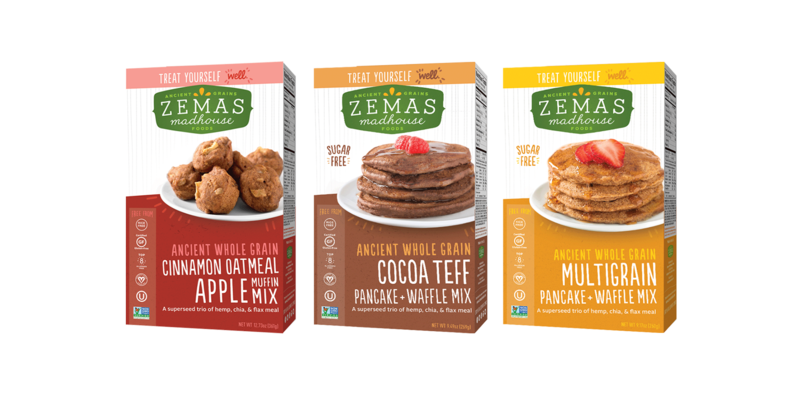 We kept the overall brand color in the original green but added bold punches of color from the boxes, mixed with some complementary colors to round out the palette. 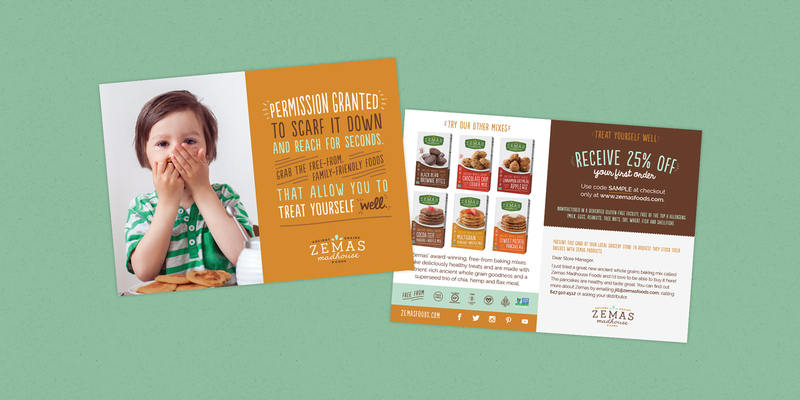 We redesigned Zemas’ baking mix packaging and helped to launch their new ready-to-eat mini cookies, giving them a fun and fresh look that spoke to the entire family. 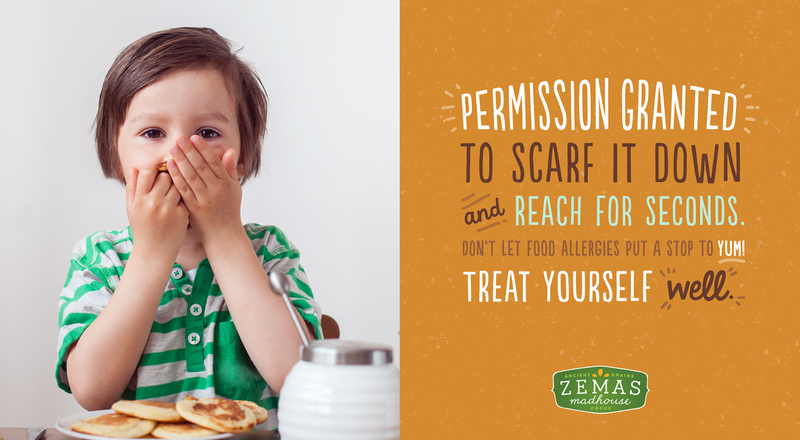 It’s a look that tells parents they can feel good about what they’re putting on their child’s plate, and kids know they get to enjoy a tasty treat. 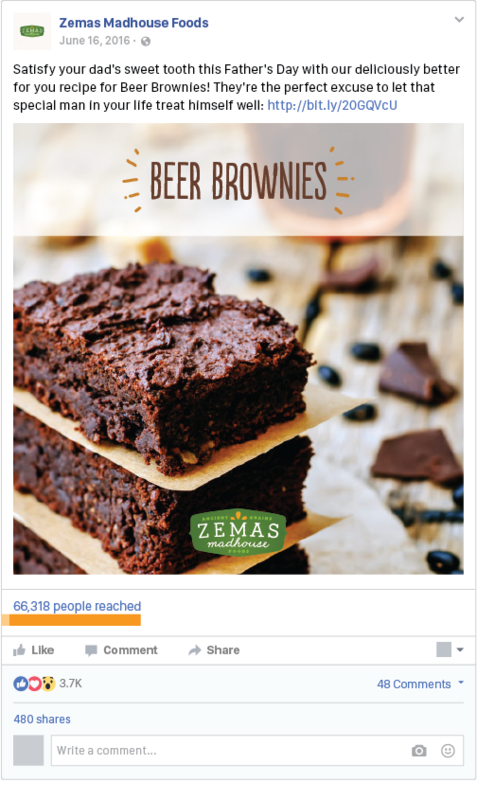 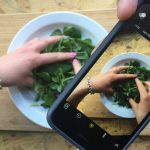 We also brought that aesthetic to their social media platforms, educating people on the health benefits of ancient whole grains and the delicious Zemas recipes they can make in their own kitchen. 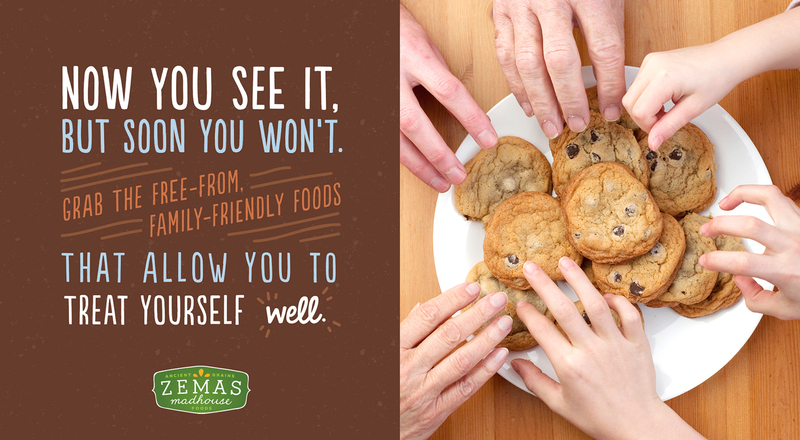 Keeping in mind that better-for-you look, we applied that same fun feeling to a couple tactics. 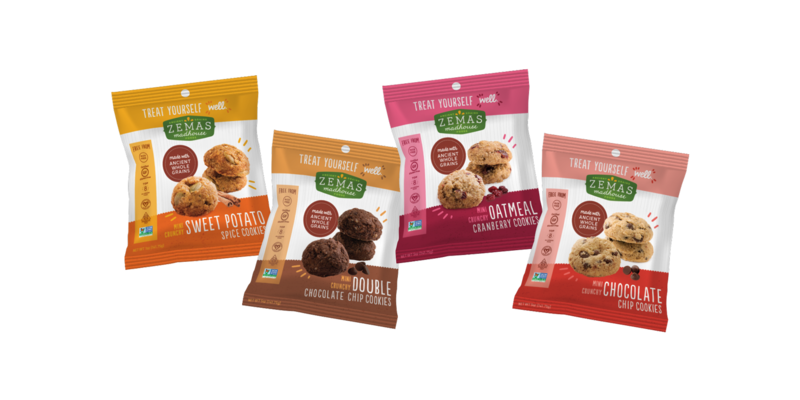 Each piece gets a simplified color palette with elements of the packaging, cookies and brand idea.